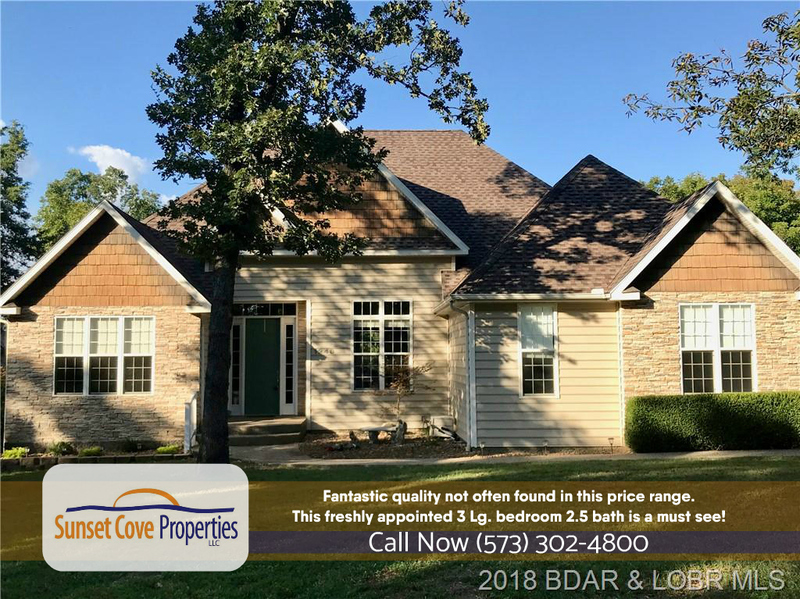 1246 Osage Beach, Osage Beach, Missouri 65065 for sale with Sunset Cove Properties! (SOLD FAST) New Listing Alert! Check out this stunning lakefront home for UNDER $280k! Fantastic quality not often found in this price range. This freshly appointed 3 Lg. bedroom 2.5 bath awaits your arrival. 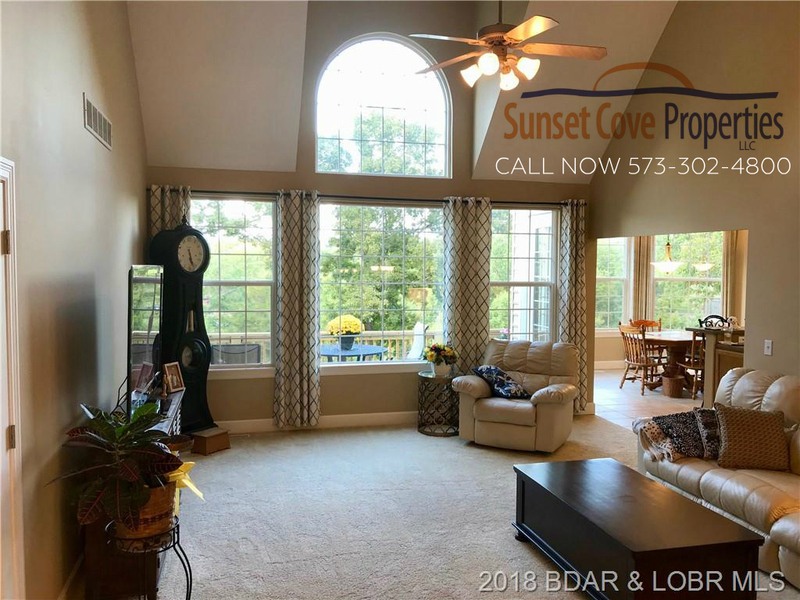 Custom built home features a seasonal lake view, new paint, raised-panel doors, wide baseboard, soaring ceilings, central vac throughout, beautiful tile floors, large 2 car garage, as well as an optional 10 X 24 boat slip and PWC spot. 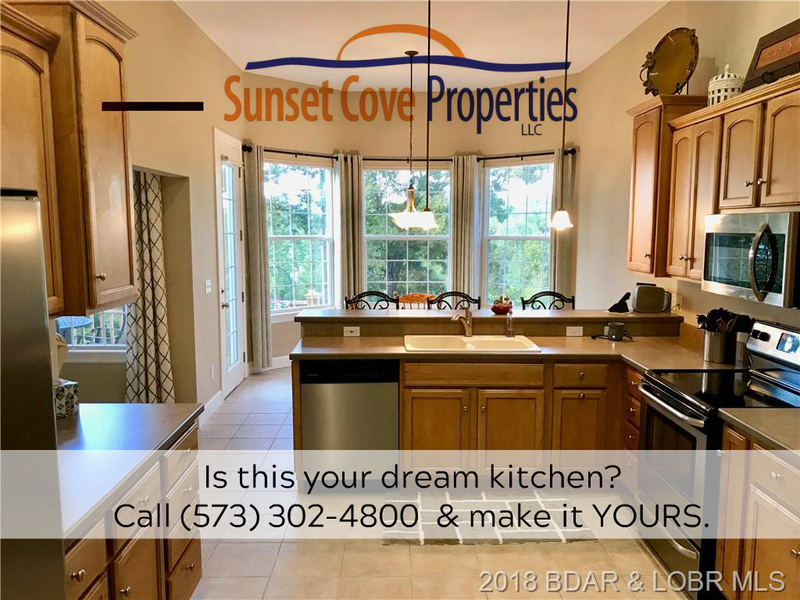 Great kitchen, premium cabinets with soft-close drawers, pantry, solid core counters. Master Suite has a walk-in closet, a multi-jet jacuzzi tub, and a stand-alone shower. Laughably-low utilities! 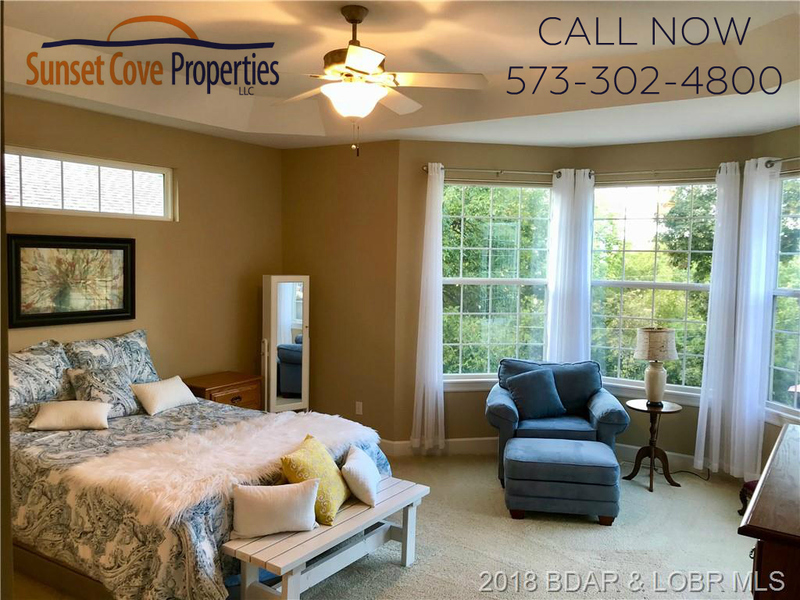 Located in the heart of the Osage Beach area, close to offices, shops, and restaurants, this gem of home awaits the discerning buyer. 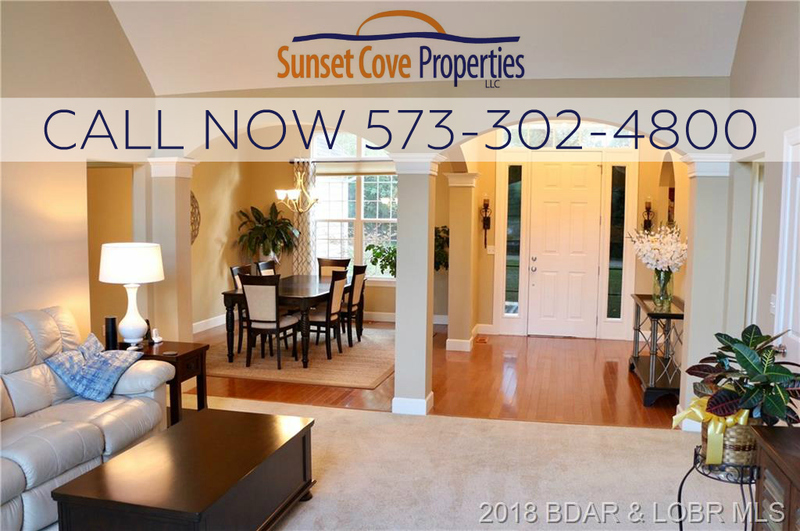 This home is waiting for someone like you to lovingly care for it in the years to come! Directions:Osage Beach Parkway to Osage Beach Road (library) to the home on right. Not Included furniture available for extra money, accessories, washer/dryer, personal items.